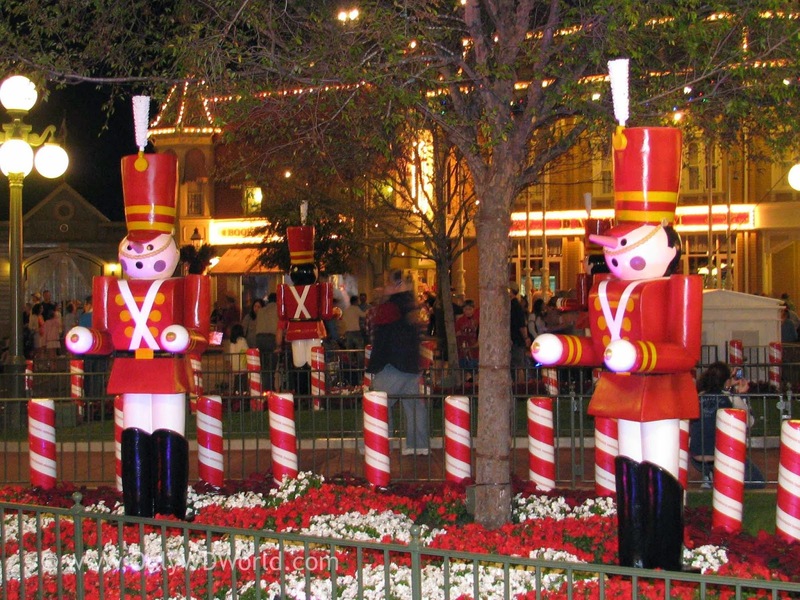 Home � Disney World Christmas , Disney World News , Mickey's Very Merry Christmas Party , MVMCP � Mickey's Very Merry Christmas Party Dates For 2014 Annnounced! Mickey's Very Merry Christmas Party Dates For 2014 Annnounced! Disney World during the Holidays is a special time and Mickey's Very Merry Christmas Party at the Magic Kingdom is always a great way to celebrate with your family. As a gift to Cinderella, the Fairy Godmother waves her wand, and with a bibbidi-bobbidi-boo enchants the castle with sparkling white lights. Magnificent icicles seem to form instantly over the parapets and towers of the royal palace, as the lights wink and shimmer to a medley of heartwarming Disney tunes. And many more—not to mention Santa, wishing you a "Merry Christmas!" from his colorful sleigh! Brilliant white lights explode in the air above Cinderella Castle in this breathtaking music and fireworks show. Watch for Tinker Bell as she soars into the sky over the crowds! And cheer as Jiminy Cricket reminds you that home is where the heart is—especially during the holidays. Buzz Lightyear, Mike Wazowski and Stitch fight holiday doldrums across the galaxy in this jolly musical revue chock full of the coolest dance numbers. Stitch is on a special mission to track down Santa. But will this adorable alien be naughty or nice to Saint Nick? Find out what happens at the rockin’ grand finale! ‘Tis the season to give gifts, and Mickey’s present to Minnie is not to be missed! Goofy, Donald and others get into the holiday spirit with their own version of The Nutcracker in this jubilant musical spectacle. Mickey’s Very Merry Christmas Party requires a separate admission ticket. Be sure to purchase your ticket early! 0 comments to "Mickey's Very Merry Christmas Party Dates For 2014 Annnounced!"